This is a quick post letting you know what I have coming up on my blog. Tomorrow I will be posting my yearly VBS poll. You will have a week to vote for your preferred VBS curriculum. Remember that I only create crafts for the top two VBS curriculums, so make sure that you get your kids ministry team to vote as well. I will post the results of the poll on Sunday and I will begin posting the crafts in April. Also, I plan on getting an early start on my Easter crafts this year. I will begin uploading them next week. I want to thank you all for your patience. I know I’ve been a little slow in getting back on schedule after the holidays. Thank you for all your support and kind words. 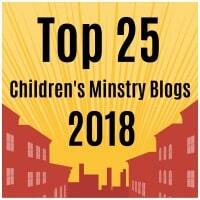 I pray that my blog can continue to be a blessing to you and your ministries. This entry was posted in Updates and tagged 2017, bible crafts, crafts, kids ministry, update, Vacation Bible School, Vacation Bible School 2017, VBS, VBS 2017.